Matt Mars, assistant professor, invited Tech.Global student employees to assist Dorrance Scholarship recipients in a summer entrepreneurial program. Typically, if a research project has a technological component, the researcher has two choices: find a graduate student who can code a little or spend precious grant money to hire a company to create whatever is needed. Now, there is a third option: Tech.Global, a UA service created in July 2016 that deploys the expertise of student employees to make new technologies affordable and accessible to the entire UA community. Tech.Global, which is part of UA Global, is the brainchild of Ash Black, whose vision was to create a 100% Engagement experience for students while supporting researchers' technological needs. Tech.Global's past projects have included map visualization and 360-degree video. The group also provides loaner 360-degree video cameras to UA faculty and staff traveling internationally. Soon after joining the UA, Black said, he realized "that, to a great extent, the lifeblood of our university is the research value of the faculty. Researchers are our rock stars. We've got to stand them up – that's our job." "When Tech.Global was created, my desire was to expand research capacity. Instead of a researcher having to get lucky and have a grad student with some coding skills, the University would have a pool that you could quantify and guarantee that the coding skills are there. That's the dream of Tech.Global," said Black, data scientist for UA Global and executive director of Tech.Global. Students apply to work at Tech.Global, where each student position is funded for 1,024 hours. UA faculty or departments can sponsor a Tech.Global coder and, in doing so, immediately gain the capabilities of the entire team in support of their projects. Bryan Carter, associate professor of Africana studies, was among the first faculty members to take advantage of Tech.Global's offerings when he "hired" the team soon after it began in 2016 to work on Virtual Harlem, a project he started in the late 1990s. The virtual world is reminiscent of a portion of Harlem, New York, as it existed during the 1920s jazz age. "The goal was to expose students who are not familiar with the Harlem Renaissance to that particular period. But in addition to exposing them to it, we want to immerse them in that period," Carter said. "The virtual environment allows students to navigate that environment in a variety of ways and interact with the material that has been added to it." 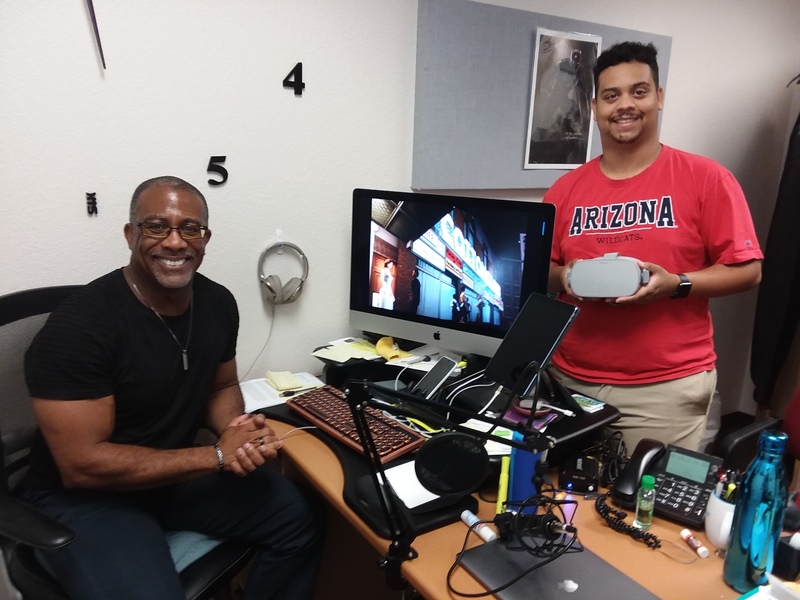 One of Carter's students, Robert Johnson, is the Tech.Global student employee who headed up the project to improve the virtual reality features of Virtual Harlem. In addition to upgrading the virtual reality system, Johnson expanded the virtual world to function as a real tour down Harlem's main street, from the Apollo Theater to the Cotton Club and the Abyssinian Baptist Church to the Savoy Ballroom. Taking it a step further, the Tech.Global team developed ways to allow people to envision themselves as a character within Harlem. First, they created motion captures of students using an Xbox Kinect, a motion-sensing input device for Xbox 360 and Xbox One video game consoles. Then, they used actual motion bodysuits. "Then we moved even further when we got facial recognition software," Johnson said. "Now, we can have avatars with the face captured and the voice recorded, so we can have story lines. We've gotten it to the point where a lot of the stuff we worked on was evolving into getting this more immersive, realistic and historical re-creation of Harlem in that period." 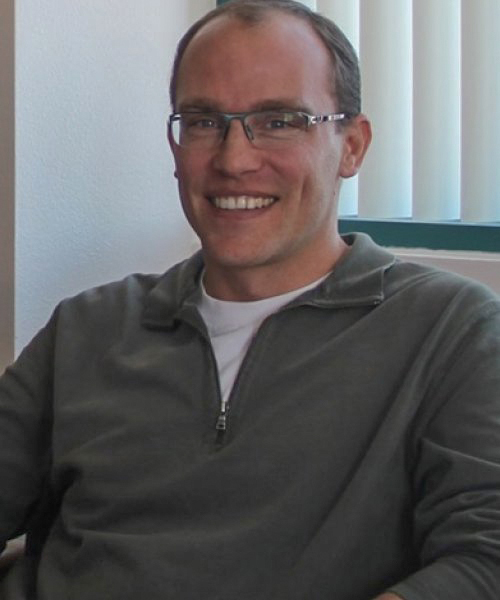 Matt Mars, in the College of Agriculture and Life Sciences, is another UA faculty member who has experienced the benefits of working with Tech.Global. Each summer, Mars works with students in the Dorrance Scholarship Program, which academically and financially supports first-generation Arizona college students at the state's three public universities. "The scholarship program requires entrepreneurship experience, and they do that with us during a three-week intensive program," Mars said, adding that approximately 35 students participated this year. Students were asked to identify a social- or community-based problem they believed could be solved through an entrepreneurial intervention. "This year, we wanted to elevate the presence of technology in their solutions," Mars said. "Ash and the Tech.Global team spent time with the students in the Dorrance Scholarship Program, looking at their solutions, understanding what they were proposing, and then suggesting ways in which app-based technologies, web-based technologies and virtual reality could be used to enhance the novelty as well as the capabilities of their solutions. It added a layer of sophistication to what is already an intense, rigorous program." Mars said approximately 70 percent of the student entrepreneurial teams used Tech.Global's ideas to develop their business models. One team, whose goal was to increase children's interest in art, created a virtual gallery to curate artwork. Another team hoped to improve pet adoptions by using computer algorithms to match characteristics and personality traits of aspiring pet owners and pets. "For Tech.Global to be able to suggest relatively feasible ideas of how technology can be used to enhance and broaden the impact of what the students were proposing was really an amazing value add to what we were able to do this year," Mars said. "I'm looking forward to seeing how it evolves. I could see how the model could be used in a number of different contexts and across different disciplines without much trouble." In the College of Humanities, the new Center for Digital Humanities is helping as many faculty members as possible take advantage of Tech.Global's services. "The Center for Digital Humanities is basically a center that supports faculty research," said Carter, who is also the center's director. "Unlike other centers that award developmental funding in order to do a variety of projects, we award blocks of developmental time, making use of the time that we are purchasing from Tech.Global. Our model is one of the few in the nation with a symbiotic relationship like the one we have with Tech.Global." The Center for Digital Humanities sponsors three student seats, or a total of 3,072 hours, in Tech.Global. Since its inception in July 2017, the center has awarded blocks of developmental time to nine faculty members. Carter hopes to see that number grow as more faculty join the digital humanities family. "It's a really interesting adaptation from our perspective because we, by necessity, need to focus on 1,024 hours per student, and not every faculty member or department has that much work," Black said. "And yet we can't just (be) piecemeal and say, 'We'll take on a couple hundred hours.' What Bryan has done is he's solved that." Out of necessity, Black sits on the Center for Digital Humanities committee that decides which projects to support. "We're not going to be a perfect fit for everybody," Black said, explaining that Tech.Global uses the programming language C# rather than PHP, and works on a SQL Server, rather than the open-source MySQL. "It's a technology role. We're bound by the things that we can use and the things that we commit to using well. We can't use all tools. We can't be all things to all people." For now, though, Tech.Global is providing technology services to the UA community that previously have not been affordable or accessible, and he's doing it with a visionary team of student workers. "It's an investment, and it's mutual," Black said. 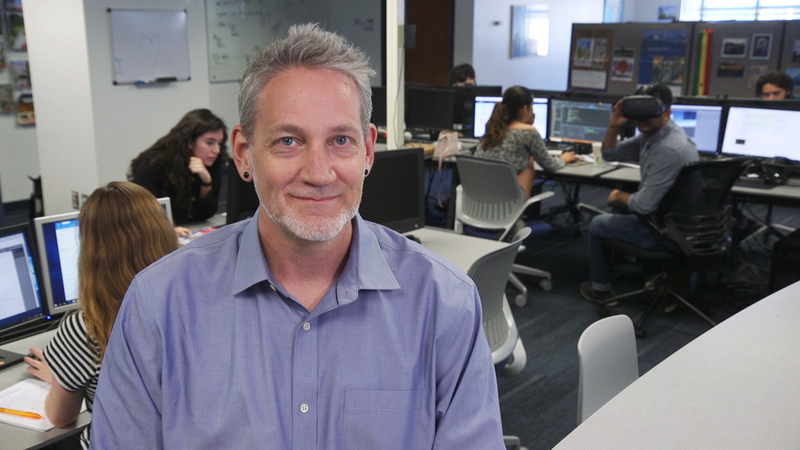 "We're going to be enabling this experience for UA coders, and our mission is to stand the faculty up and help them shine as brightly as possible. That's the whole point. The fact that students can be the ones who are involved in that, that's the win-win."